[60% OFF] 2019 Plus Size Plain V Neck Bodysuit In BLACK | ZAFUL .. Check this fashionable plus size bodysuit out for your wardrobe. 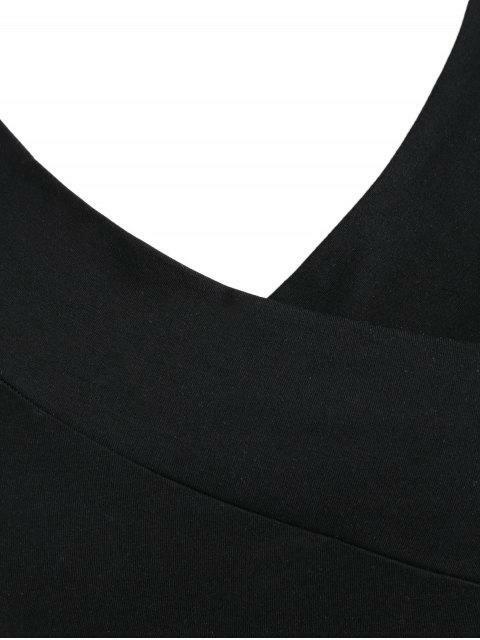 This trendy piece emphasizes v collarline, modern three-quarter sleeves, and a brief solid color design. The snap button closure at the gusset offers an easy fit. Just have it with your fave jeans to hang out freely.